The Ford GT40 is - famously - not a car that’s particularly friendly for tall people. The ‘40’ bit of the name refers to (pub fact time) the height of the car in inches, meaning even our own Alex Kersten would tower over one if standing next to it. If your generous stature is getting in the way of your dreams of owning one, however, there is a solution. It’s just that you’ll need to be even more loaded than the average GT40 punter before proceeding. 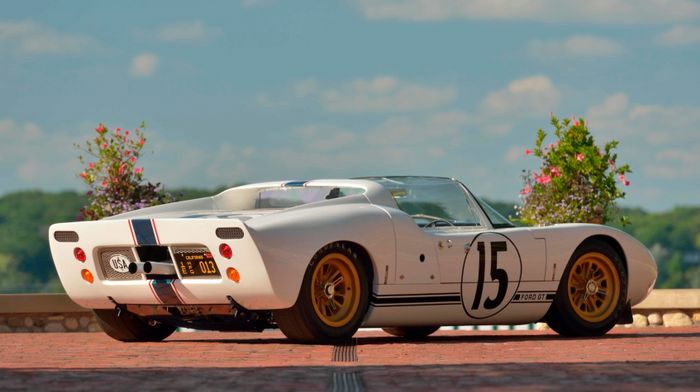 Presenting: the Ford GT40 Roadster. If the existence of such a car is news to you, we’ll let that slide: only five were built, and the example you see here is one of only two survivors. Plus, it’s unique among those five: it has racing history. Ford of France entered it into the 1965 24 Hours of Le Mans, fielding drivers Maurice Trintignant and Guy Ligier into battle for the celebrated endurance race. It didn’t go brilliantly, with the car being retired two hours in due to a gearbox issue, but that didn’t stop the short-lived run being significant: this Roaster remains the only open-top GT car to ever compete at Le Mans. Dean Jeffries purchased the car from Ford in 1968, owning the car up until his passing in 2013. During that time, Jeffries dropped in a quad-cam Indy engine, before switching to a Shelby-built 289 cubic-inch (4.7-litre) V8 gifted by Carroll Shelby himself. The latter engine is fitted currently, but the Indy lump is included in the sale too. Since 2013 it’s been owned by Dana Mecum and has been on the receiving end of an extensive three-year restoration. We’ve no doubt it’s every bit as lovely in the metal as it looks in these images. 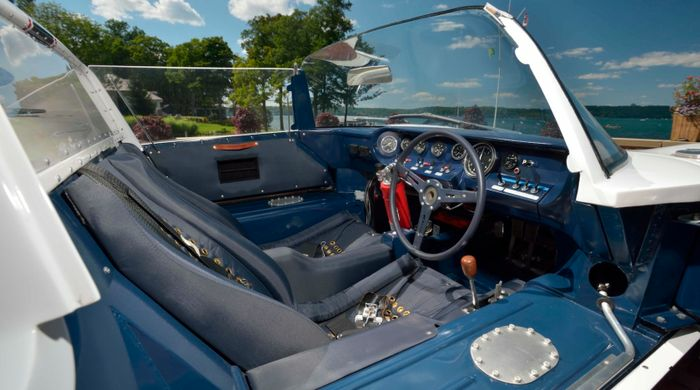 It’ll go under the hammer at Mecum’s Kissimmee, Florida sale, which runs from 3-13 January. 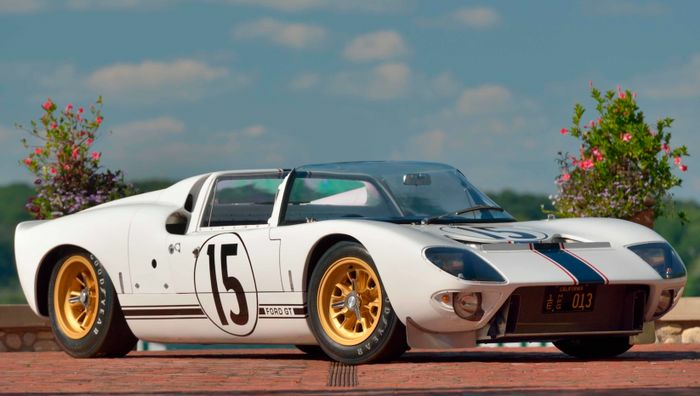 No estimate has been given, but it’ll certainly go for many millions of dollars, potentially breaking the GT40 auction record in the process.